The operator of horse-drawn carriages in Brussels has stopped its services for a few days because of the hot weather. That’s not for the welfare of the horses, however, but for residents and visitors of the capital who are “overly concerned”, says the owner of the company. Some residents of the capital are against horse-drawn carriages in general, considering it animal abuse. 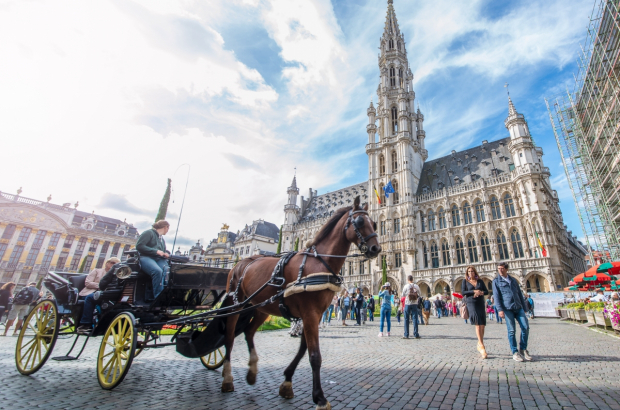 Carriage Tour Brussels gets occasional negative comments from passers-by and more via social media, he confirms. Bruges is another place where carriage horses are used and abused. They are forced to trot at a brisk pace on the stone city streets. I have been informed that blinkers on horses are cruel - the horse cannot see at all since they can only see from the side (obviously used to have absolute obedience from the animal). So, at least this practice must stop in order to allow the animal some liberty - a minimum. Animals have rights too and those rights should be respected.